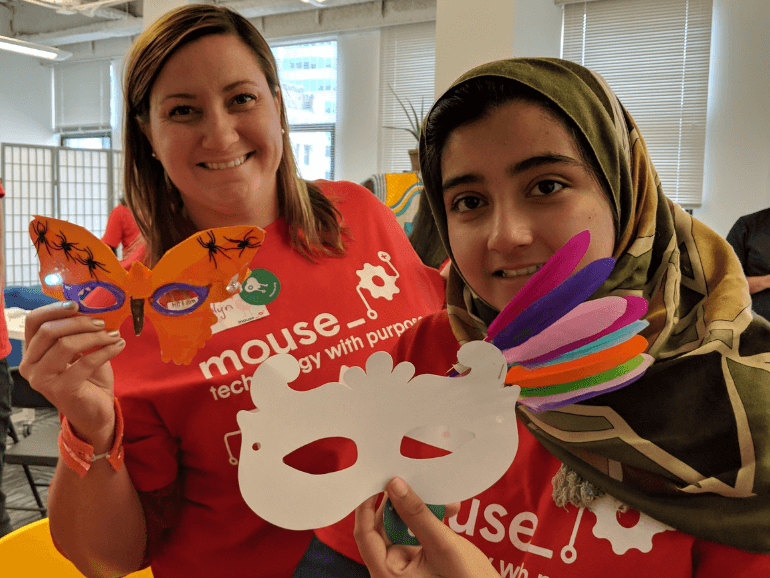 This week, aspiring makers from NYC visited the Mouse Makerspace to join Mouse in boosting our Halloween spirit a bit early. A big thank you to all the makers and special thanks to Lola Banjo, Mouse Board Member, and Kara D'Angelo Executive Director of The Patrina Foundation, for making with us. Created a light-up superhero (or super-villain) powerup wristband using sewable technology. Composed spooky sound loops using Soundation and our volunteer, Wesley's homemade Synthesizer. 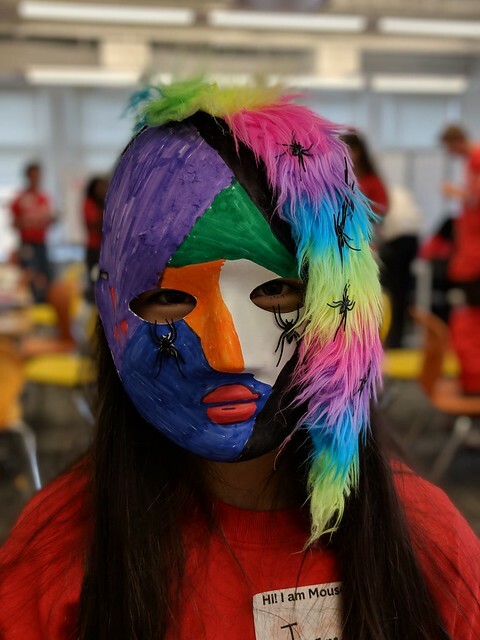 Designed special masks that appears when you look at yourself through an augmented reality viewer. Upgraded their Halloween costume ideas with a technologically magical mask that lights up. Made a special Scratch project to express their excitement for Halloween digitally. Participated in decorating our Halloween-themed wall with their favorite spooky characters. Missed Costume Tech? Join us next month at the Maker Feast maker event! Learn more about the Maker Feast Maker Event!